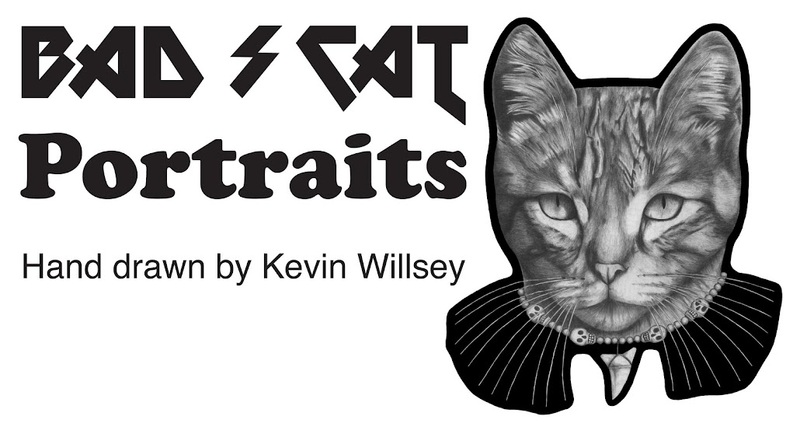 Here is a new "cat horror portrait." This cat has a taste for brains. No, not a zombie cat. 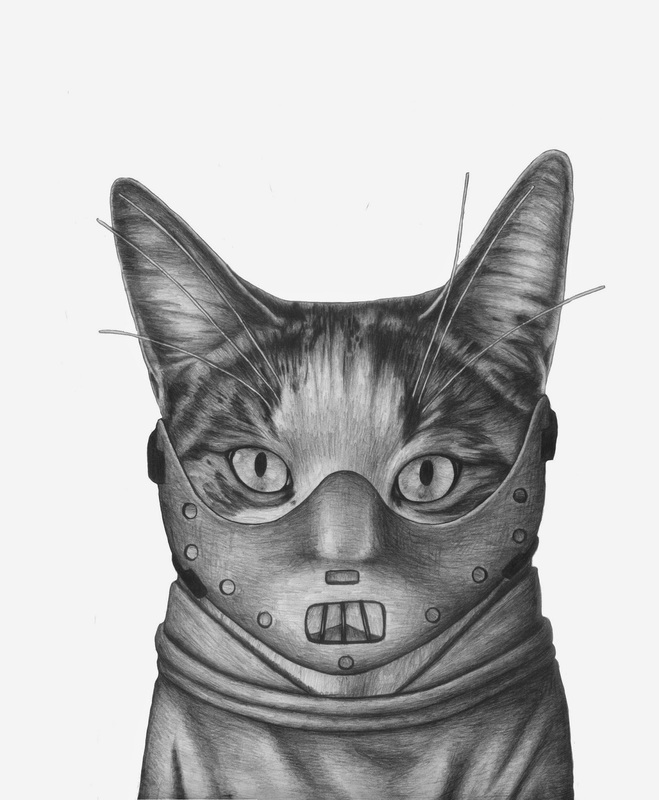 This cat is the mash up of Hannibal Lector in a straight jacket and face mask held as a prisoner from Silence of the Lambs. This makes #4 in the "cat horror portrait" series. Enjoy! Vlad x Screeching Weasel finished! This piece took longer than it should have, but I have finally finished it! 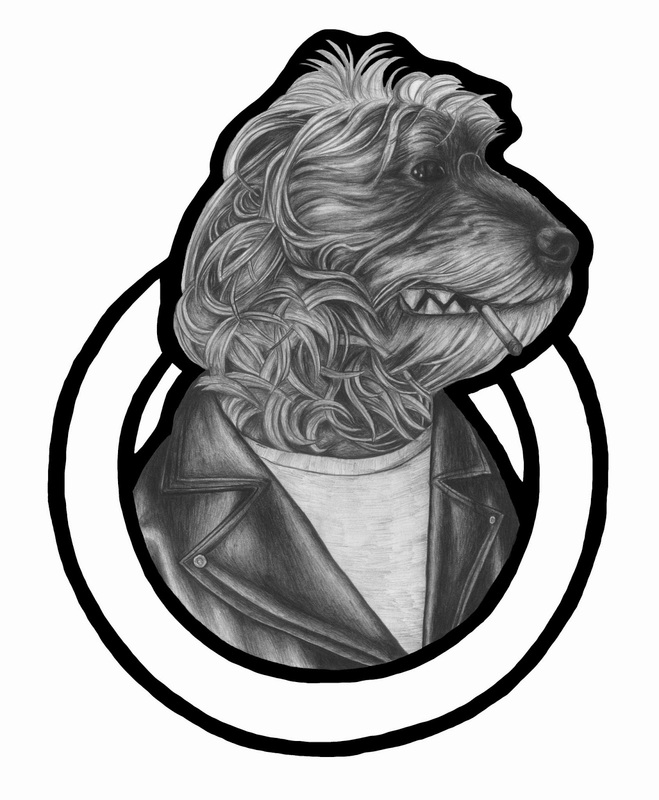 A buddy of mine digs the jams of Screeching Weasel so much he wanted his dog put in place of the weasel from the band's logo, so here it is. It's "Vlad x Screeching Weasel." Enjoy! I'm getting back into it. This drawing I'm working is the "Vlad X Screeching Weasel" piece. 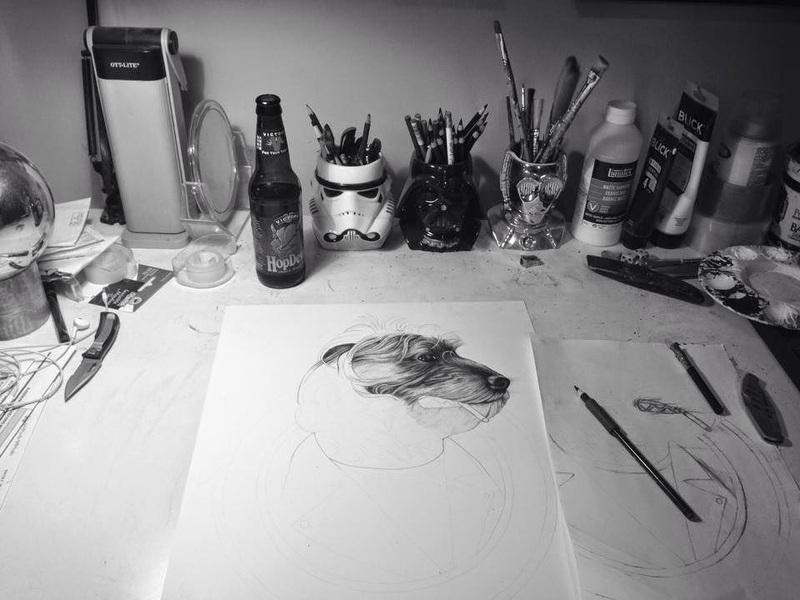 It's coming along slowly with the help of the new Ty Segall album "Manipulator" and Victory Brewing HopDevil brew.